NEXT:What Does Donald Trump Have to Tell Jorge Ramos? 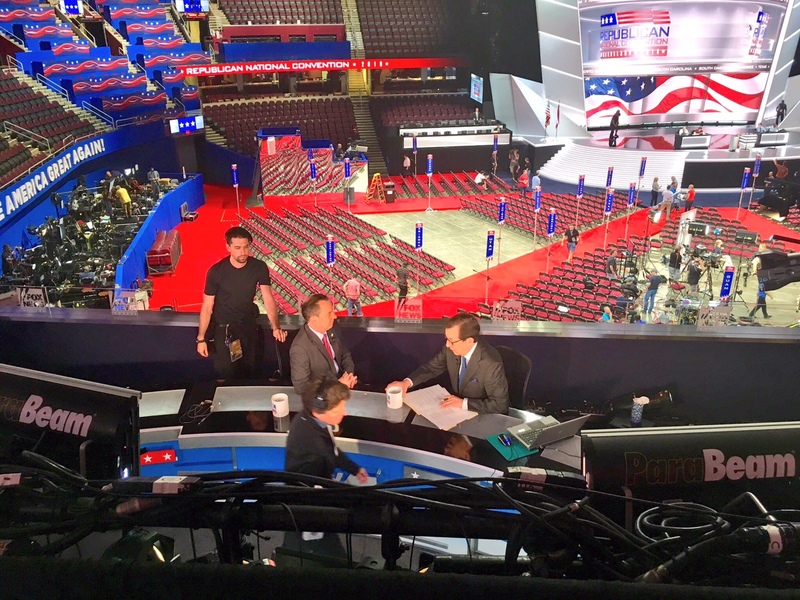 The 2016 Republican National Convention has been called to order, and many months of media preparation are now being put into action. 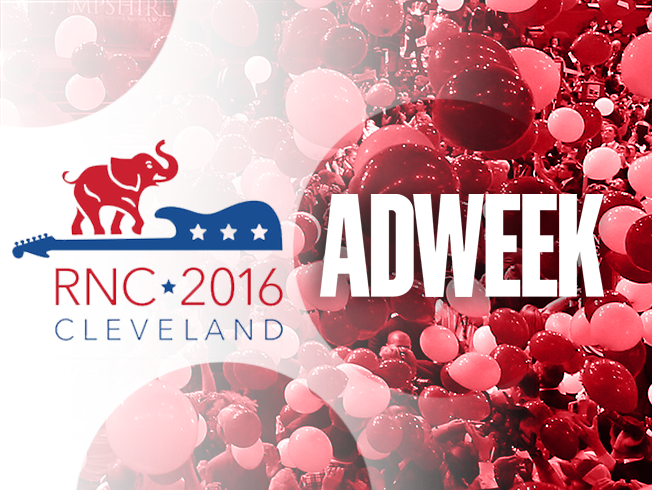 Cleveland is hosting its third Republican convention, having hosted the party in 1924 and 1936. This time around in addition to the 2,472 delegates and 2,304 alternate delegates, there are 15,000 credentialed media. All of the TV networks have multiple locations inside the Q, two of the three morning shows broadcast from the floor of the arena this morning. MSNBC and NBC News are fronting some of their shows from two make-shift sets in a public area just outside the security perimeter. 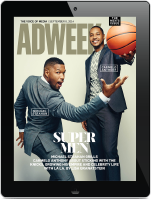 The Q is also home to digital players like Yahoo News which has its own skybox. We’ve spotted new media here, like Complex, and also just chatted with someone whose been covering conventions for decades: Dan Rather who was famously escorted out of the 1968 Democratic convention in Chicago when he was a reporter with CBS News. 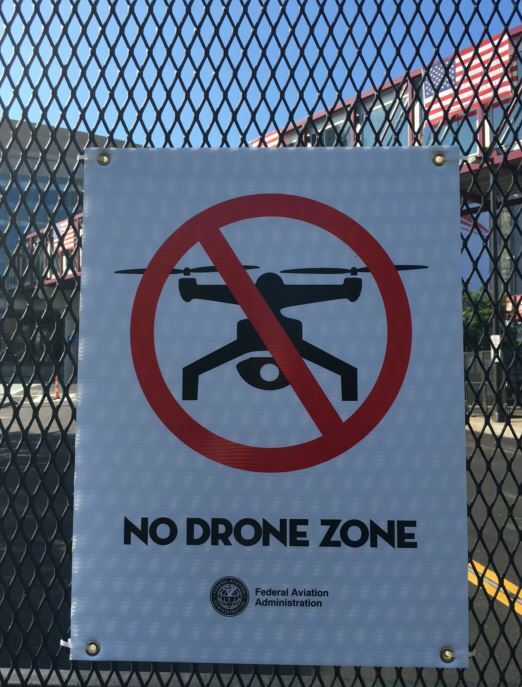 This is a no-drone convention. 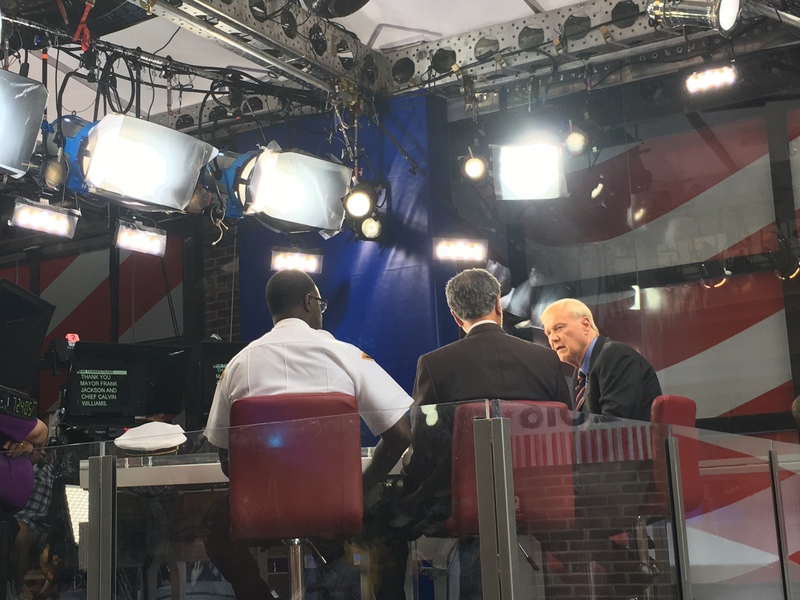 Chris Matthews hosted Hardball Sunday night from one of two sets NBC/MSNBC has set up on East 4th St. in Downtown Cleveland. Many networks have booths next to, or above each other. 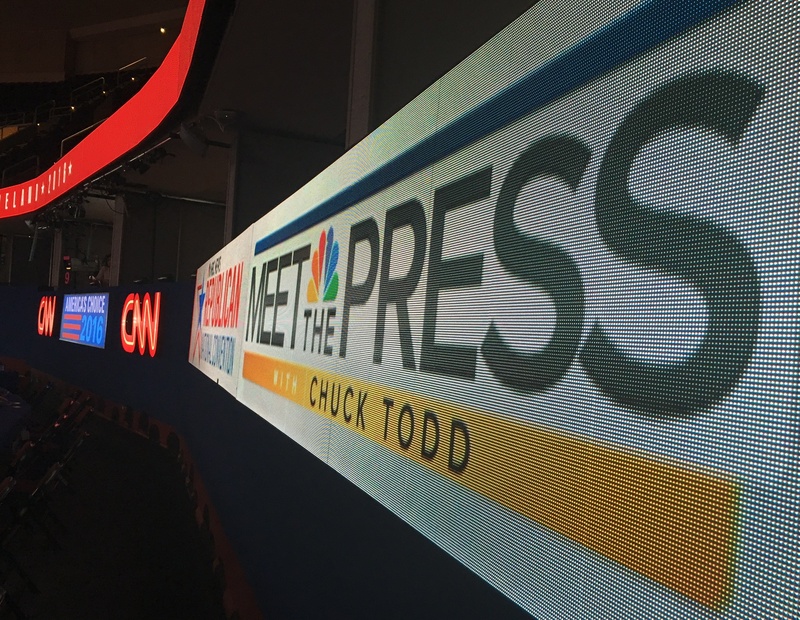 CNN and NBC have multiple in-arena locations. 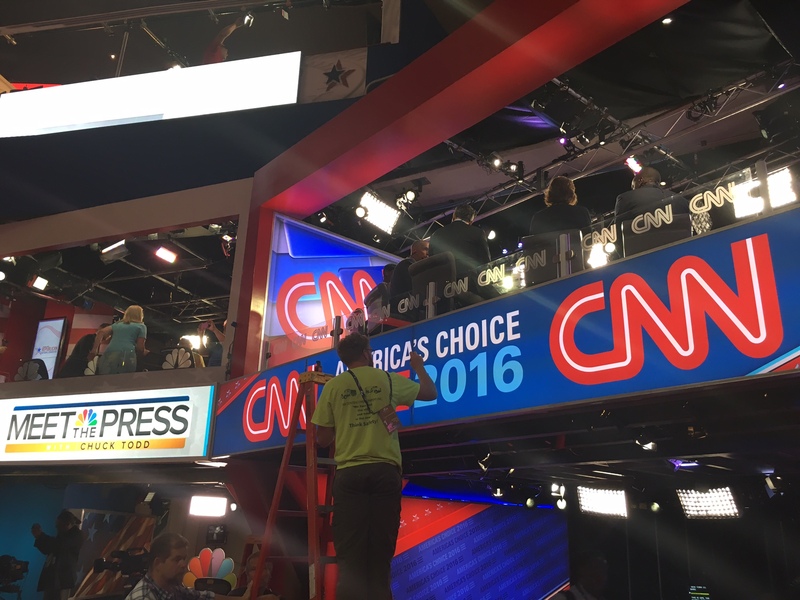 Putting the finishing touches on a CNN booth, even as Jake Tapper hosted State of the Union Sunday morning. 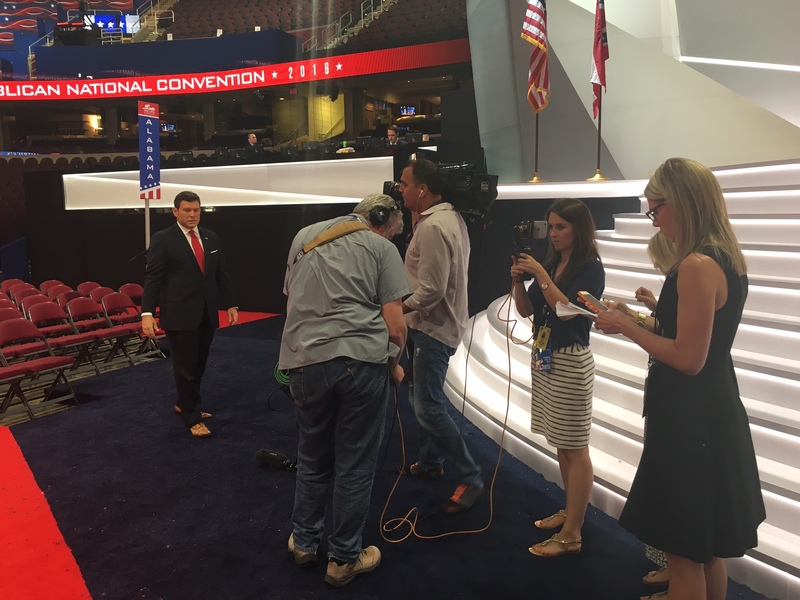 Fox News Channel’s Bret Baier shoots stand-ups on floor of the convention. 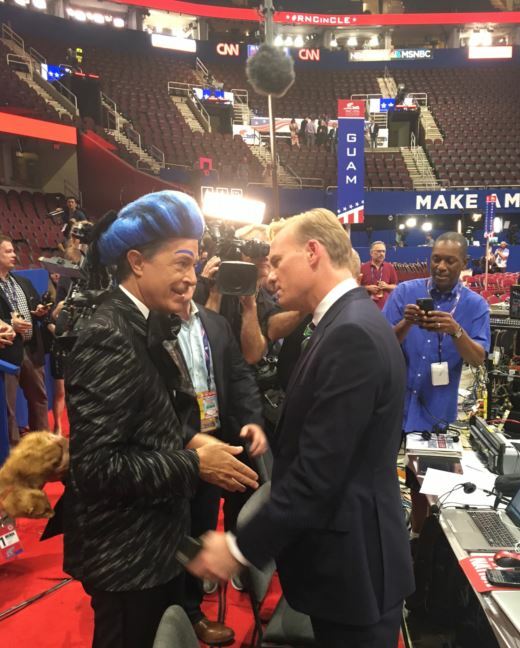 Stephen Colbert, in costume for a Late Show bit, talks with CBS’s John Dickerson.